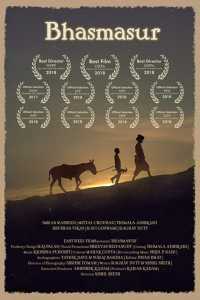 Dhaanu, a poor villager, heavily in financial debt, stealthily returns from the city to the village one night. He is hiding from a moneylender who he owes a handsome sum of money. Pushed against the wall, he decides to sell his donkey, Bhasmasur, in the city. Dhaanu’s son Tipu, who yearns to go the annual fair in the city, shares a very strong bond with the donkey, Bhasmasur. Tipu in his own childish ways tries to stop Bhasmasur from being sold, but remains unsuccessful.